Opening 11/3/18 5-7 PM, running through 3/3/2019. The piece is a pun on "projection," creating a physical shape for people's "projections" onto women's bodies. We use video projection to wash away some of those words used to describe women. 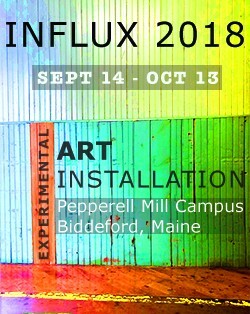 INFLUX 2018, an experimental art installation at the Pepperell Mill Campus, a former textile mill in Biddeford, Maine. Installations and performances placed throughout the mill, including video installation by Anita Clearfield & Geoffrey Leighton, "Labor Weave/Capital Warp." Help Us Fund a New Film in Production! Light in the Dark: Art as a Sane Voice in an Insane World"
"Light in the Dark: Art as a Sane Voice in an Insane World"
Featuring: Franklin Ahrens, Brendan Bullock, Matt Blackwell, Michael Branca, Crystal Cawley, Anita Clearfield, Kenny Cole, Jeannie Hutchins, Scott Minzy, Natasha Mayer, and Vivien Russe. 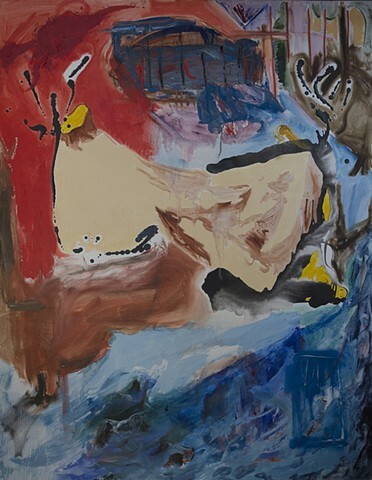 "Let There Be Light: 2015 Menorah Invitational Show"
Wed. - Sat. 12-6 PM. I'll be the Video Artist in Residence at Ghost Ranch (Georgia O'Keeffe's Abiquiu, New Mexico) during A Room of Her Own Foundation's Retreat for Women Writers. Atrium Gallery, USM, Lewiston, ME. the feeling of leather upholstery in a BMW as much as anyone. like providing medicine or shelter or…food. was worth all you suffered for it, except you know what? and the only meaning comes from what you choose to do. Create. Destroy. Act. Sit there. It’s always lousy weather when we leave the Pig. Foggy. Now it’s really Last Call. 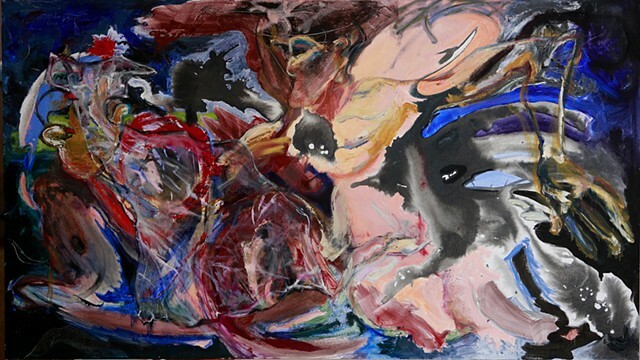 Celebrating the late artist Carlo Pittore (1943-2005), by showing over two dozen artists inspired by the figure. 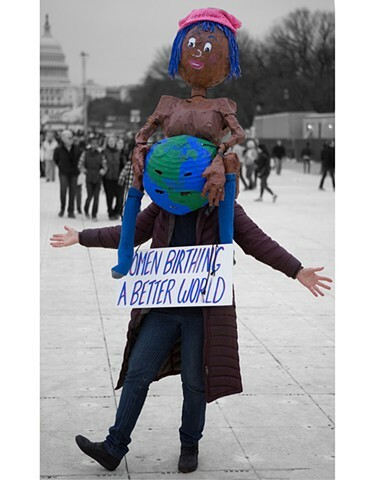 Curated by Susan Drucker.